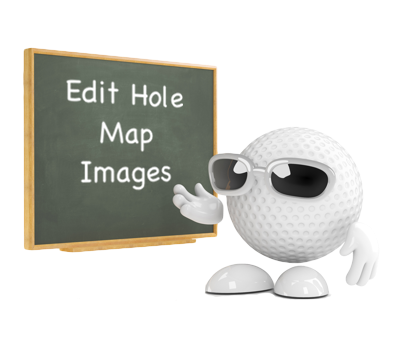 Navigate to the particular hole map page you wish to edit (e.g. My Applications / App Name's Dashboard / EDIT PAGES / Hole1map.html). On the chosen page, select 'Layout' (located at the top left of the 'handset display'). 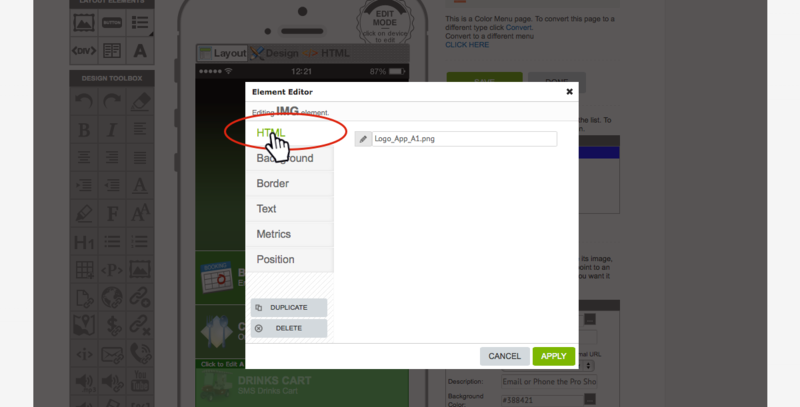 For instructions on how to navigate to the individual page edit level, go to How to Start Editing Your App. 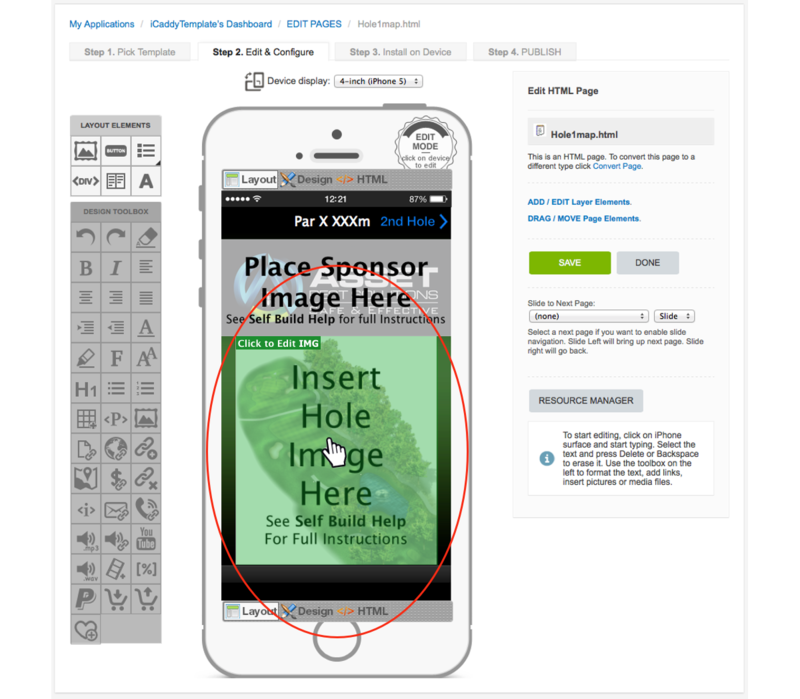 Hover your mouse over the image (hole map) on the 'handset display' that you wish to change. The image (Element) will then be highlighted (and 'Click to Edit IMG' will appear at the top left of the image). Click anywhere on the highlighted image to go to 'Element Editor' for that image. The 'Element Editor' window will appear. 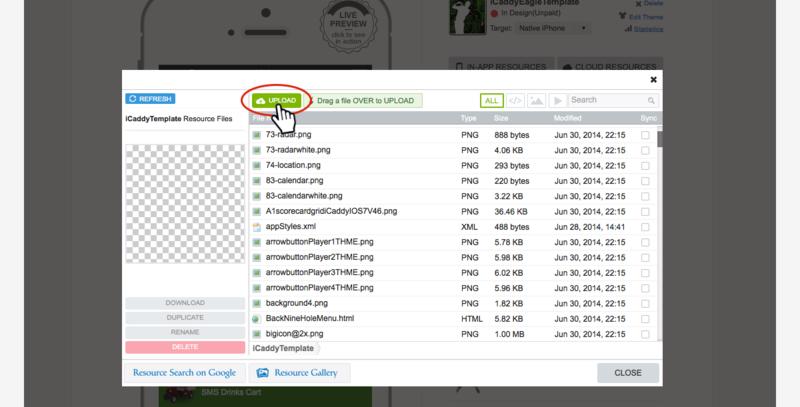 If you have not already uploaded the required image into the 'Resource Files' for your App, select 'UPLOAD'. 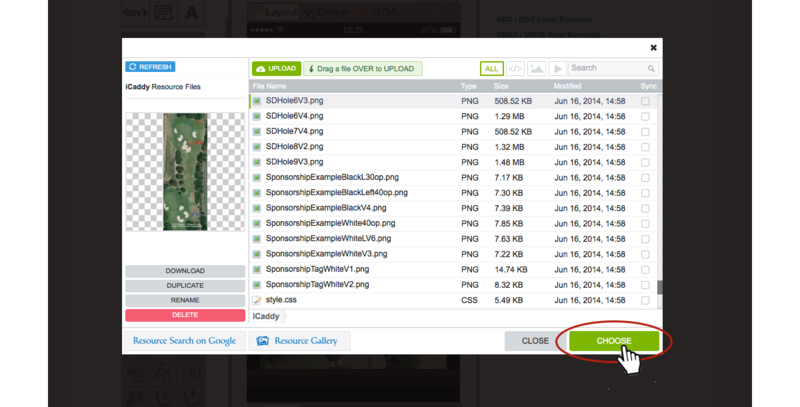 If you have already uploaded the image into the App's 'Resource Files', select the file, click 'CHOOSE' and skip to Step 9 below. After clicking 'CHOOSE' above, the 'Element Editor' will appear again. At this point, the size of the image can be edited by selecting the 'Metrics' option from the tab list on the left side of the 'Element Editor'. If the width and height values are left blank, images greater than 320px wide will appear at the full width of the handset's screen. Small images can be enlarged and large images can be reduced to fit the page as required (via the width and height settings). If the height value is not entered, the image's height will appear relative to the specified width. On some Android platforms, both the height and wide values must be specified. Note: When enlarging small images, low-resolution images may appear blurred on the handset when enlarged. High-resolution images provide greater sizing flexibility. Note: Margin and padding settings can also be edited in the Metrics tab, however these settings are for advanced users only. 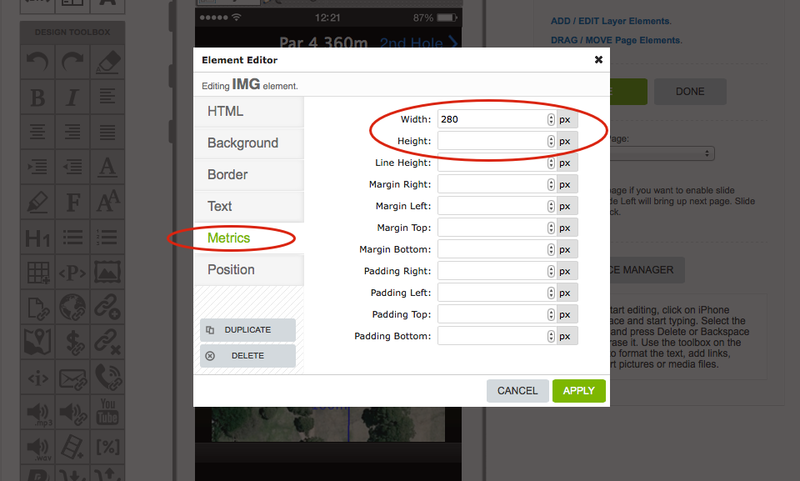 Editing the margin and padding settings is not required when building an App using the iCaddy range of templates. Editing these settings may cause unintended layout changes in your App. Always back up your App before editing these settings. Once finished editing select 'APPLY'. 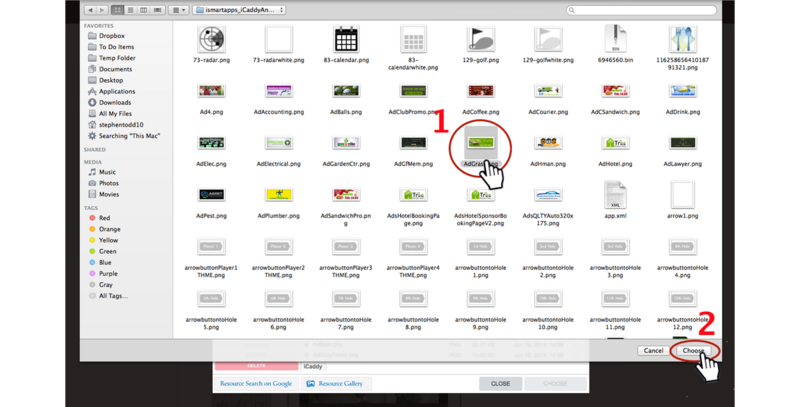 This will insert the image into the 'Element' (selected in Step 2 above) & return you to the 'EDIT PAGES' screen. 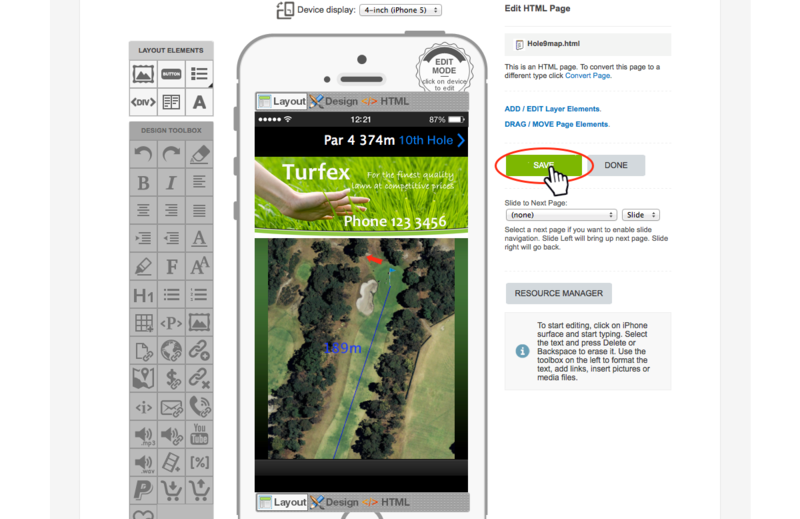 Repeat this process for each hole map page in your App.